CAUTION! This tip is for advanced Windows users. If you have a large “C” drive in your Windows 7, Windows 8x, or Windows 10 computer, chances are you are not using most of it. Did you know Windows has a built in utility to split a portion of the drive into a separate drive to use for storing things like pictures, documents and other things you want to keep safe. This would be good protection if you find your computer won’t boot and your only resort is to reinstall Windows. You will be able to format or reinstall Windows but all the personal files and data you saved will still be safe on your newly created drive. Windows 7 users: Click Start and they type Disk Management in the start menu search. Windows 8.1 and Windows 10 users: Right-click your start button and choose Disk Management. 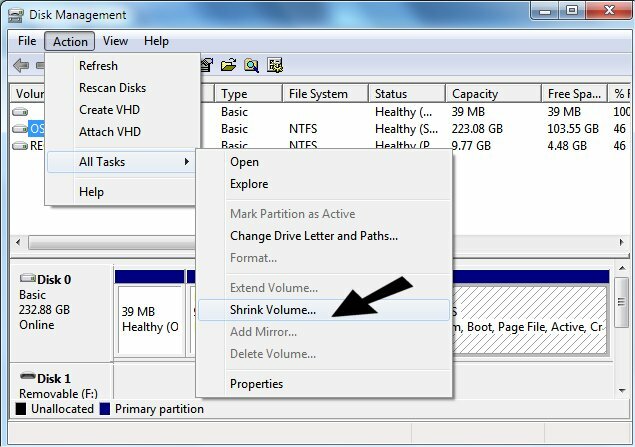 When the Disk Management window opens, it will show your hard drive(s); click C. Now click Action, All Tasks, Shrink Drive. It will take Windows a few minutes to do this, but don’t worry. .nothing is being changed. Once Windows shows you how much space can be used for the 2nd drive, choose how much you want to delegate to the 2nd drive. Don’t shortchange your C drive, so be sure you understand gigabytes and megabytes before you proceed. To refresh your memory, a megabyte is 1024 kilobytes and a gigabyte 1 048 576 kilobytes. Be careful when you do this that you read the instructions; you could have major problems with Windows if you don’t follow the instructions carefully..
And remember, while you can store backups to the drive(s) you created with Windows Disk Management, an external drive is still preferred for backing up. Why? 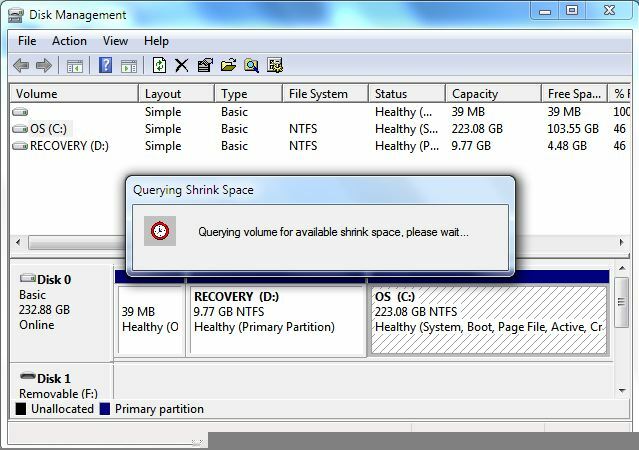 Because if your hard drive goes bad, all the partitions on it will be unusable. That being said, it’s still better to backup to a partition on your hard drive than not to back up at all. What’s that, EB? Yes it is. It is something like it is better to have loved and lost than to never have loved at all….it’s exactly like that, EB (rolling my eyes).